Ronnie and Professor Stein turn into Firestorm and destroy the singularity, but at the cost of Ronnie's life. Six months later, Barry operates on his own to avoid hurting any more of his friends and family; Cisco works in the police department alongside Joe, and Caitlin works at Mercury Labs. 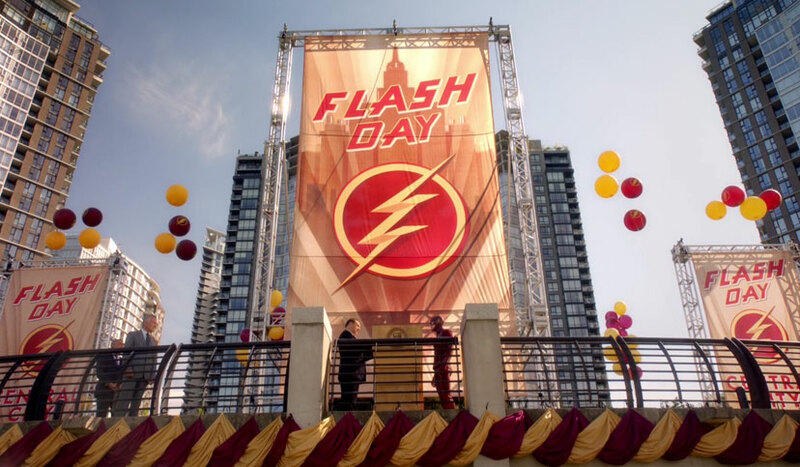 The city holds a ceremony honoring the Flash for his work in saving the city. At the ceremony, Barry is attacked by Al Rothstein whose strength and size manipulation prove too much for Barry to handle. He is convinced by Joe and the others that he needs help in taking down certain metahumans and Barry defeats Al by allowing him to absorb too much radiation. As he dies, Al tells Barry that he was sent to kill him by Zoom. Barry also receives a hard drive from Dr. Wells containing his confession to killing Nora that proves Barry's father's innocence. Henry is released from prison, and tells Barry that he is not staying in Central City so that Barry can focus on being the Flash. A man shows up at S.T.A.R. Labs, introduces himself as Jay Garrick, and declares that the world is in danger.